We invite you to contribute your knowledge and expertise at one of our Stakeholder Engagement Workshops. LibraryLinkNJ is looking towards the future and embarking on a new strategic planning process in 2017. Details about these workshops and our strategic planning are available on our website. Three of these workshops are being held the week of January 30. If you couldn’t attend this week, we welcome you to register for one planned for the week of February 13. Each workshop lasts three hours and all are free. 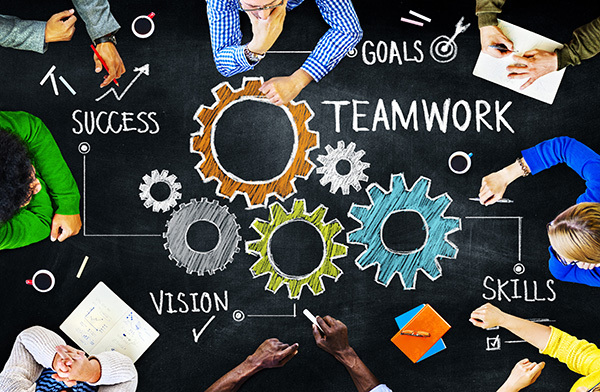 Explore the opportunities and challenges that are presenting themselves with an eye to addressing them collaboratively and proactively. The focus will be on current and future trends affecting libraries and their users. We’ll discuss possible solutions, and your input will contribute to the creation of our next strategic plan. These workshops are not just for library administrators. We are specifically inviting staff representing all library roles and generational identities to attend. This is a great development activity for both newer and seasoned staff members and an important opportunity to shape the future of LibraryLinkNJ and NJ libraries. The workshops are open to all members from every type of library. If you would like to participate, please register. The workshops are free, but we do need a headcount for our preparations. Light morning or afternoon refreshments will be served. Tuesday, February 14, 2017, Willingboro Public Library; 1 pm - 4 pm (Coffee at 12:30 pm). Registration deadline is Tuesday, February 7th. Register here. Wednesday, February 15, 2017, Wyckoff Public Library; 10 am - 1 pm (Coffee at 9:30 am). Registration deadline is Tuesday, February 7th. Register here. Thursday, March 2, 2017, Ocean County LIbrary - Jackson Branch; 1 pm - 4 pm (Coffee at 12:30 pm). Registration deadline is Thursday, February 23th. Register here. 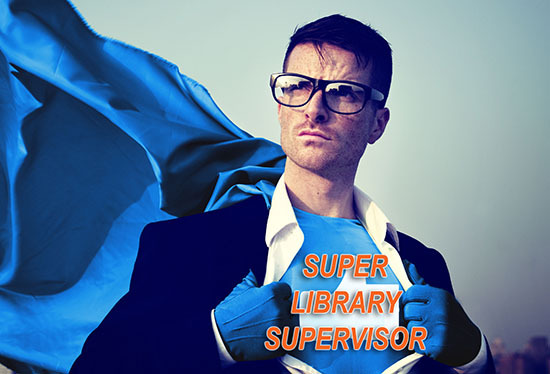 Registration for Super Library Supervisor will open at 10 AM on Wednesday, February 7, 2017. Information and Registration: Complete information on this series of workshops and the link to register starting on February 7th. Registration is online only. This webinar - both a recording of the live session and Claire & Sophie's materials - will be archived on our website for you to access & share. Updated & expanded with content we couldn’t pack into our 2016 NJLA Conference session! Thousands of libraries are using Instagram. What’s next for you in this space? Join in the practical fun with this hands-on session to learn how to use photos for community engagement and integrate Instagram into your library’s overall PR & communications strategy. We’ll share examples from libraries, museums, and archives that are doing excellent work in this space and you’ll leave with ideas you can implement immediately. Registration is open now - join us! Our friend and colleague Robert White, who led the Bergen County Cooperative Library System so capably for 30 years, passed away at the age of 70 in December. We honor his decades of dedicated and progressive service to New Jersey libraries, and wish he were still here to urge us ever onward. NJLA honored him as a Library Champion in 2015. In an up-to-the-minute use of technology that Robert would surely have appreciated, his memorial service was captured via Facebook Live at the New Milford Public Library. Karen Avenick, retired as the Assistant Director of the Camden County Library System, passed away in December. In addition to her work at Camden County, Karen was instrumental in developing the NJ Train the Trainers and Super Library Supervisor programs. Karen was also very active in NJLA, serving as President in 2002 - 2003. She was also head of the Advocacy Team at the South Jersey Regional Library Cooperative, working with SJRLC director Karen Hyman on training and advocacy for all types of libraries. Rest in power, Robert and Karen. We miss you. Colleagues can further Robert and Karen’s legacies by contributing to the BCCLS and NJLA Scholarships endowed in their names: The Robert W. White Scholarship (one of several named awards under the Mary Joyce Doyle Scholarship Awards program) and The Karen Avenick Scholarship.